Preston’s Jack Bridge took gold in the men’s MC 100m Butterfly after posting a time of 1:04.98 to score 640 BDP. The S10 swimmer had already won medals in the 200IM, 50m Freestyle and the 100m Butterfly. Cockermouth’s Luke Reeson (S9), the fastest qualifier from this morning’s heats, touched in 1:09.85 (615 BDP) for silver, while Prescot’s James Pout (S8) took bronze in 1:11.18 (596 BDP). “It’s been an amazing week,” said Bridge. “I have four medals: two golds, a silver and a bronze, so I’ve had a pretty good week. “I came to Sheffield to have some fun and to put a smile back on my face while I’m racing as I’ve had a tough year so far. I had ankle surgery 15 or 16 weeks ago so I wasn’t looking to come to this meet and smash the times I’ve been putting out. City of Liverpool’s Tobey Ryland timed his race to perfection, taking gold in the 12/13yrs 50m Freestyle on the touch in 26.18. Havant and Waterlooville’s Luke Pullen took silver in 26.37 with Millfield’s Huw Williams third in 26.44. Gloucester City’s Edward Maddocks went sub-26 for the first time in the men’s 14yrs 50m Freestyle, touching in 25.92 for the gold medal. Piers Bowden of Guildford was just over a tenth of a second behind, clocking 26.03 for silver, while Wolverhampton’s Bradley Gordon swam 26.09 for bronze. All ten swimmers in the 15yrs 50m Freestyle were shoulder to shoulder as the went under the flags but it was Jakob Goodman (St Felix School) who inched ahead to take gold in 24.81. City of Leicester’s Joshua Munroe touched in 24.88 for silver, while Stockport Metro’s Jake Clappison was third in 24.95. The women’s 12/13yrs 50m Freestyle was a tight race, with the top four swimmers are going sub-28. Onioluwa Taiwo clinched the gold medal at the touch, winning in a time of 27.21. The Salisbury swimmer was followed by Kaylee Dekker of Mount Kelly, who had already won gold in the 100m event. Peterborough’s Anna Blakeley received a bronze medal with 27.65. In the 16/17yrs final Rody Burden of Staines and James Oxborrow of Bolton were neck and neck in the closing metres of the race, with Burden just clinching the gold medal in a new PB 23.81. Oxborrow touched 23.84 for silver and Charlie Pullan of Guildford followed up for bronze (23.53). 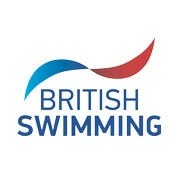 City of Coventry’s Matthew Bruce powered home in 23.05 to take gold in the 18yrs+ 50m Freestyle. Grant Quigley and Alexander Farrell were separated by only 0.01 seconds with Ealing’s Farrell touching in 23.52 for silver and Stockport Metro’s Quigley third in 25.53. In the 14yrs 50m Freestyle, Rotherham Metro’s Debbie Cocking and Guilford City’s Anna Cutts were in perfect sync touching the wall in 27.92 to share the second step of the podium, while Lauren Cox of Team Mercia took the top spot, winning gold in 27.88. The 15yrs age group was won by Guildford’s Molly Robinson who took gold in 27.23, just beating Olivia Halcox of Millfield who touched 27.30 for silver. Barnet Copthall’s Meghan Byrne swam 27.49 for the bronze medal. Barnet Copthall’s Lena Soulas stamped her mark on the championships winning gold in 16/17yrs 50m Freestyle with a time of 26.88. Nova Centurion’s Kelsie Campbell touched in 27.07 to take silver, while Burnley’s Katie Reynolds was third in 27.16. The 18yrs age group saw Rachel Bowen of Mid Sussex top the podium with 26.62, just 0.22 seconds off the British and English record. Stephanie Blakeburn of Billingham also went below 27 seconds to win silver (26.79) and Jennifer Scott of South Dorset won bronze (27.11). Plymouth Leander led by two body lengths at the final changeover in the men’s 14/16yrs 400m Medley relay. Exeter City really closed the gap in the final 100m but were unable to gain enough ground. The Plymouth team touched 4:05.47 for the gold medal, with Exeter less than two seconds behind in 4:07.16. Potters Bar followed closely behind for the bronze (4:08.44). The 17yrs+ Medley Team event saw Plymouth Leander A take gold again, touching in 3:50.27 for the win. Wycombe and Hatfield battled it out to the end, both teams hungry for the second place finish. Wycombe managed to dig deep in the final 25m to touch 3:56.30 for silver and Hatfield a second behind with 3:57.22 for the bronze. In the women’s 14/16yrs, it was early leaders Pioneer 79 who claimed victory after a fantastic push down the last 50 metres. Plymouth Leander had taken the lead at the final turn, but Pioneer 79’s Meghann Cleaver powered through to touch 4:27.73 for gold. Plymouth were inched into second with their time of 2:27.75 and Wycombe District third in 4:27.98. The final event of the ASA National Summer Championships was the women’s 17yrs+ Medley event. This time it was Woking who went out fastest, two body lengths in front at the start of the breaststroke leg. Peterborough and Plymouth both piled on the pressure, but Woking were unstoppable down the final 50 metres. Hazel Ferguson touched in 4:23.64, seven seconds ahead of Plymouth Leander who claimed silver in a time 4:30.49. Hatfield touched in 4:31.18 for the bronze medal.